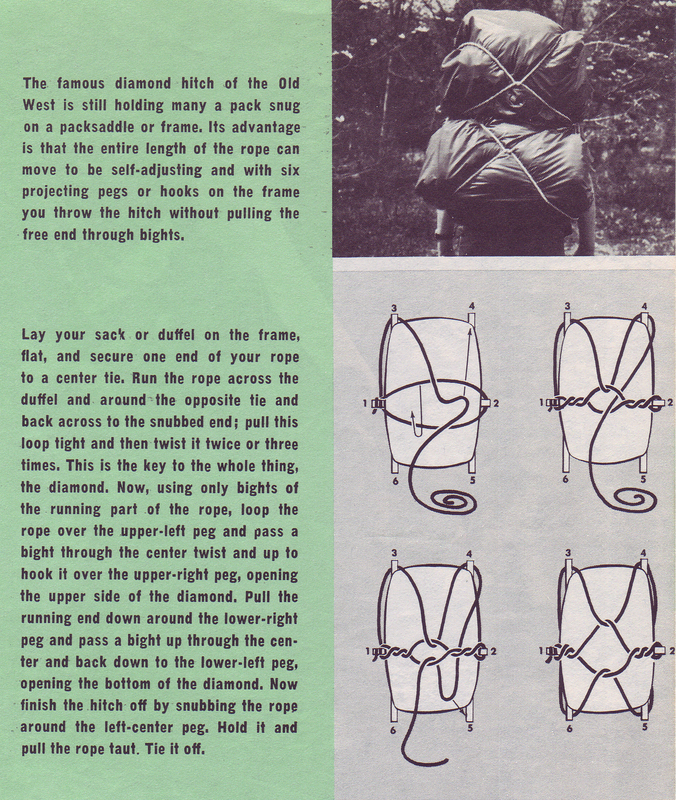 The Diamond Hitch was many times more prevalent a couple of decades past, and was featured throughout a range of Scout publications. It’s not actually associated with Scout Pioneering, but it’s still an example of nifty rope work. Though there’s not nearly as many packboards in use today, the Diamond Hitch still can serve as the most practical approach to securing a bundle to an object, even in today’s modern world of bungee cords and the like. The following diagram and description was scanned from the ’76 printing of the 1967 Fieldbook.